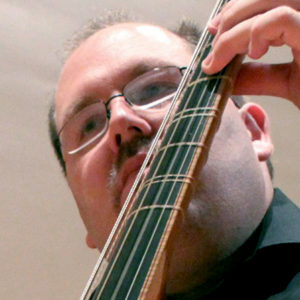 Phillip W. Serna performs with Black Tulip, New Comma Baroque, the Spirit of Gambo, et al. Earning his doctorate from Northwestern University, Phillip is on faculty at Valparaiso University, North Central College, the Music Institute of Chicago, Naperville’s J.S. Bach Academy and co-directs Illinois’ premiere public-school period-instrument Baroque and viols program at Adlai E. Stevenson High School. His program Viols in Our Schools earned him Early Music America’s Outreach Award for 2010.